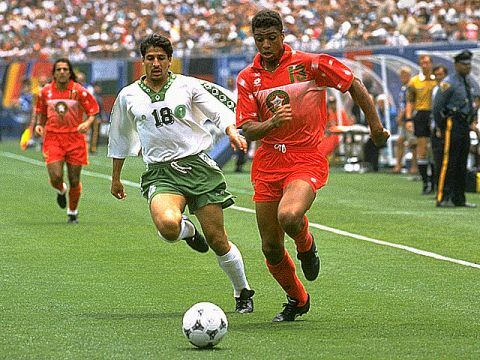 Morocco's Ahmed Bahja with the ball chased by Awad Al Anazi of Saudi Arabia. It wasn't Morocco's year this time. They bowed out with three losses.